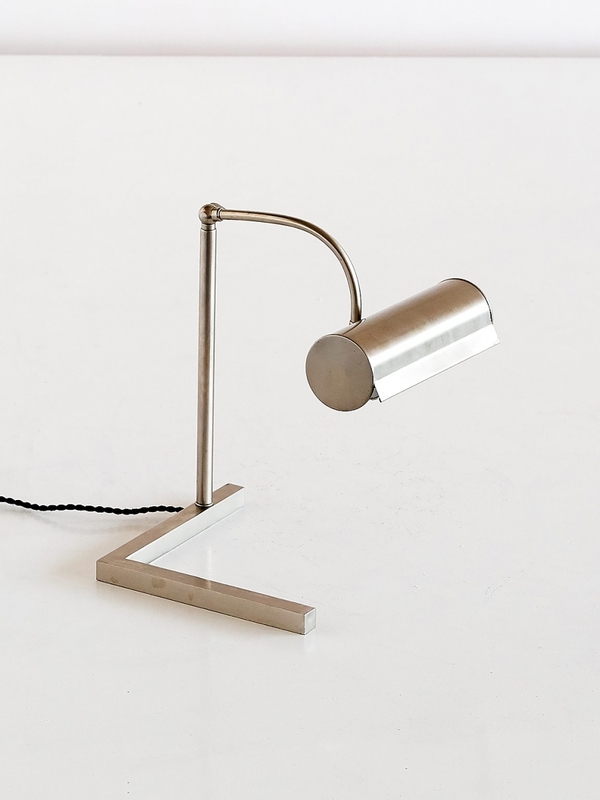 This striking desk or table lamp in brushed steel was manufactured in The Netherlands in the 1930s. 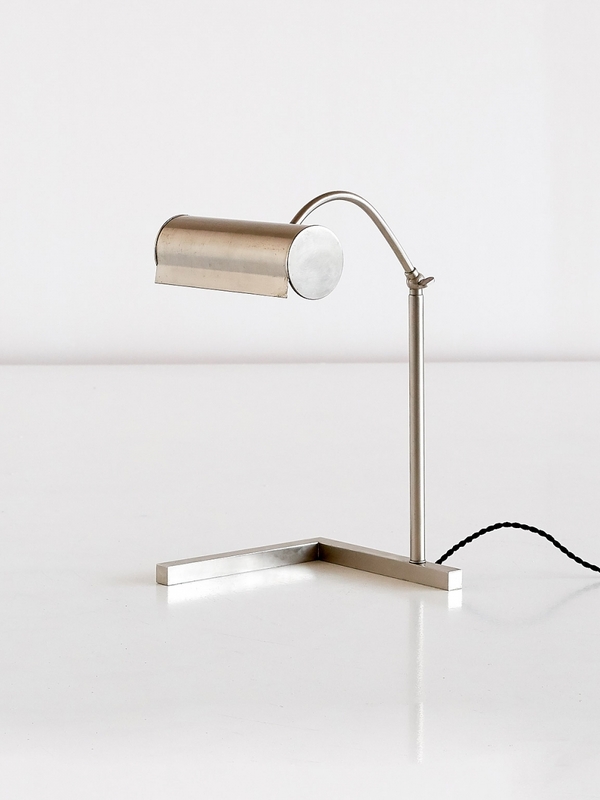 The lamp consists of an L shaped base, with a cylindrical adjustable shade. Reminiscent in style and execution of the work by Dutch contemporaries such as W.H. Gispen and J.J.P. Oud, this wonderful design captures the essence of minimalism and modernism in lighting.